Home Appearances Friday, February 17th: PowerPoint Karaoke Returns! Friday, February 17th: PowerPoint Karaoke Returns! That’s right, folks! On Friday, February 17th, PowerPoint Karaoke begins a whole new season of image-assisted mischief at Fantasy Flight Games! What it is: Four improv comedians must each give a PowerPoint presentation with slides they have never seen before, and the slides make no sense! 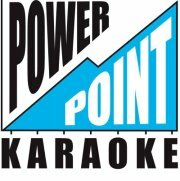 Friday, March 17th: The Ides of PowerPoint Karaoke!